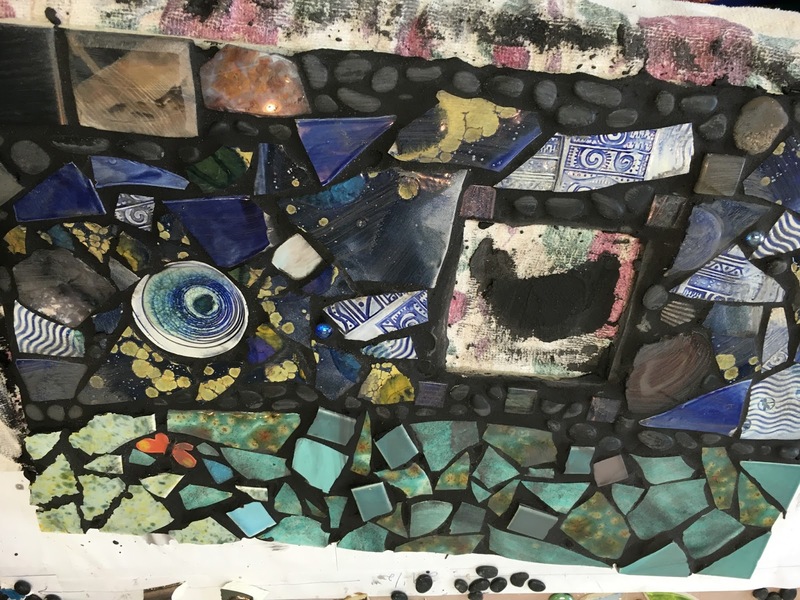 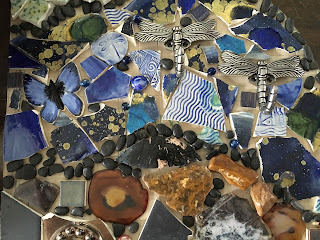 Diana Rose Studio: March Mosaic Madness! I am enjoying a break in between classes and having some much needed studio time! 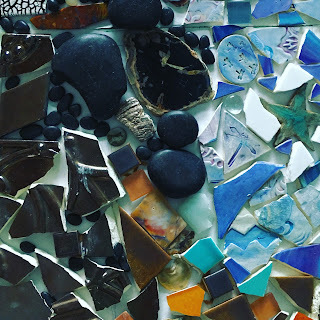 My first project is a mosaic for our kitchen. I made my own butterfly and leaf tiles and much of the river and sky pieces on which I melted marbles and used crystal glazes for some of the effects. 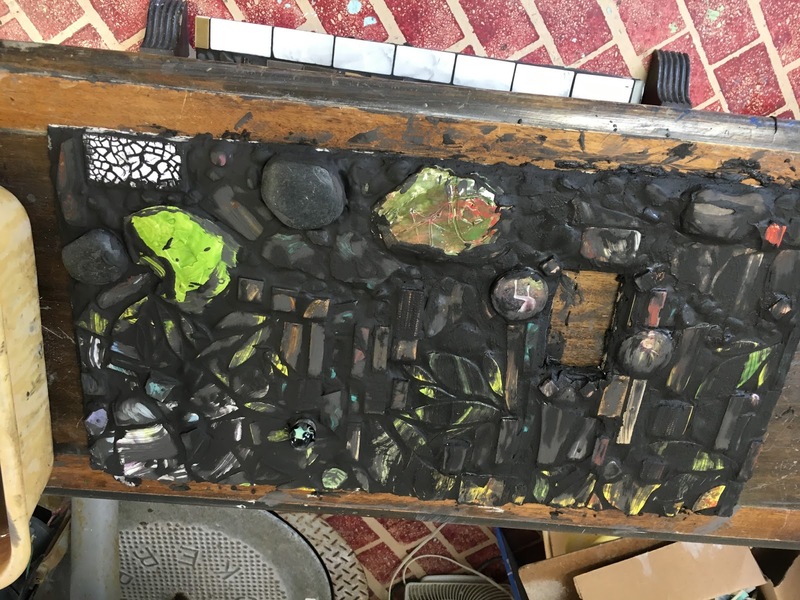 I also used flat rocks, river stones, commercial tile pieces, dragons tears, and more. This was my first experience with a real mosaic and not just hand made tiles that all fit together, so it was fun to break up the pieces and arrange them ( and also a little maddening). 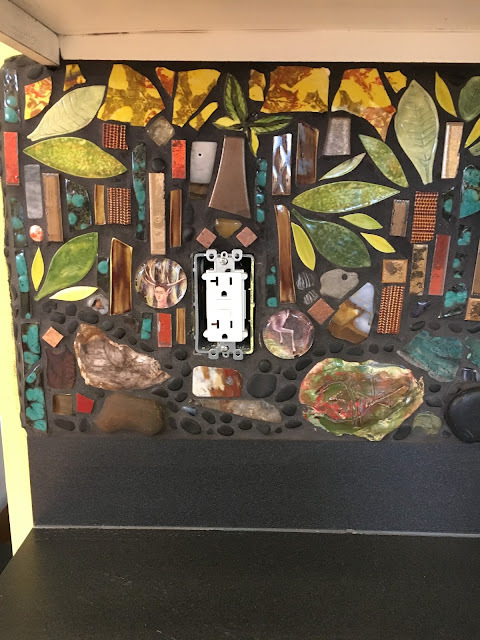 I used thin set mortar to adhere the tiles onto 1/4" cement backing board that was then fixed to the wall with more thin set and screws. I got grout from Mid Valley Tile in Corvallis. 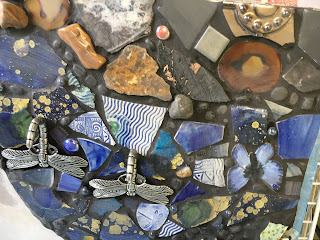 A very fun project for me and I even included some tiles made by my favorite young artists. 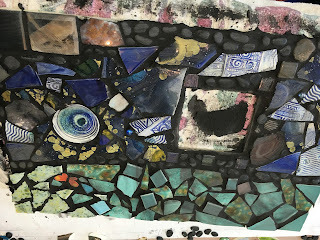 **Special thanks to my dear friend Avie Meadows for inspiring me with her beautiful mosaic and letting me use some of her tile scraps! Finished image is not the best quality, it is much better in person.